Our Cottage long off set composite front doors are super strong and secure and will leave you feeling safe and secure. 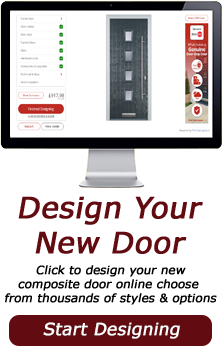 Choose from an excellent selection of Cottage long off set composite front doors in a wide variety of colours and textured glass patterns. A police preferred 'secured by design' locking system with expectional security features is fitted as standard and the Cottage long off set composite front door style offers excellent energy efficiency and weather resistance. Your new Cottage long off set composite front door will be delivered 'FREE' and within 5 working days*.